This morning I was informed the service cpanel_php_fpm was down. So I logged into WHM and it indeed showed that it was down. The result shows that it is up. # ps -C cpanel_php_fpm and it shows 2 processes running. This should update all the service statuses. However, this time it didn’t do the trick. So I removed the chkserv.d file and re-enable the service in WHM. Now all services are shown as up. Great! 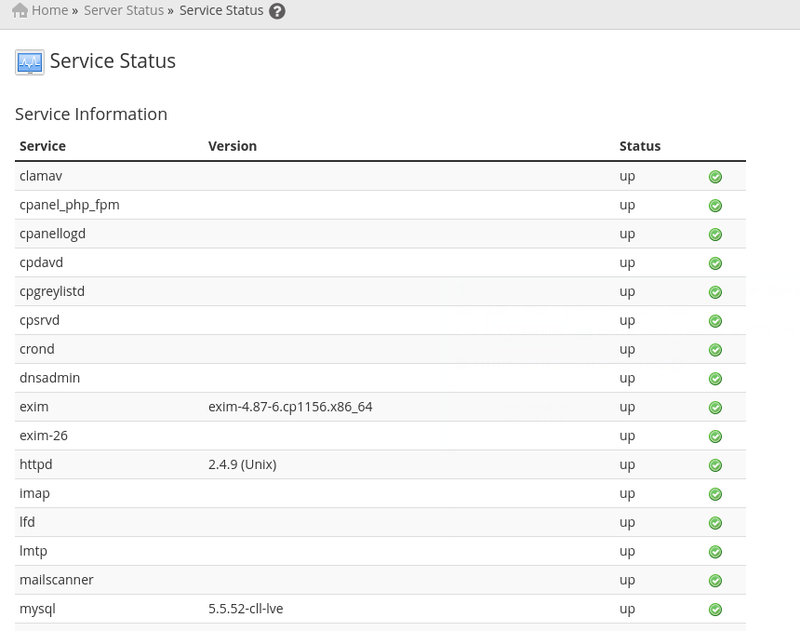 Don’t forget you can use this to fix any other services if you are sure the service is up and WHM Service Status is displaying the incorrect status.